There was no league action this weekend with the Provincial Towns Seconds Cup taking centre stage. Longford Early XV travelled to Athy in a confident mood after a good performance versus Tullow on the week before. Unfortunately, despite going into an early lead they lost out 21-17. Attention now turns to the second round of the Provincial Towns Cup where Longford travel to Drogheda to face Boyne RFC on Sunday. A separate preview is available. Sunday February 10th Provincial Towns Cup 2nd Round Boyne (Away). The Warriors scored a great away win versus CYM 07-32 and now have a week off before their last league match on Sunday week at home to Tullamore. A match report will be published tomorrow. Longford U14's played away to Wicklow in the Metro League on Sunday past. The match kicked off at 12 noon with a breeze blowing across the pitch making it a difficult kicking game for both sides. Wicklow opened the points tally within the first minute through a single player running past our pack and backline. From there, Longford added three tries through Ryan D'Arcy paying back in kind. The first half ended with a try apiece and a 26 to 17 score. The second half opened with two Wicklow tries either side of a great run by Joel Gilanders to narrow the score difference. 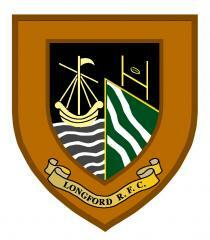 Longford then ran in three tries by Luke McManus, Sam Mills and finally Ryan D'Arcy scoring his fourth of the match. The player of the day was Ryan D'Arcy with the final score 53 – 24. Longford Team: Ronan Corcoran 15, Ryan D'Arcy 14 (4 tries), Odhran Gray 13, Jude O'Rourke 12, Luke McManus 11 (1), James Gilheany 10 (4 conversions), Sam O'Rourke 9, Shane O'Hara 8, Sam Mills 7 (2), Joel Gillanders 6 (1), Oisin Gallagher 5, Sam Waters 4, Leo Temple 3, Martin Dooner 2, Adam Reen 1. Other tand out players were Shane O'Hara, Sam Mills, Ryan D'Arcy and Sam O'Rourke. Training this Wednesday from 7 to 8:30 and the next match is Boyne RFC in the Youth Cup on the 10th Feb.
Congrats to Longford RFC men, Tom Gilheany who made his Leinster Senior Cup debut yesterday with Clongowes, while Shane Mallon did likewise today for Cistercian College Roscrea v Belvedere. Toms brother James currently plays for our U14s and his older brother Jack played for Longford and Clongowes. Make sure to keep the afternoon/evening of Saturday March 16th free as we are hosting our famous steak evening to coincide with Irelands Six Nations match with Wales in the Millenium Stadium. This could well be the Championship decider and promises to be a great night. Tickets will be available soon, so don’t miss out. The Sin Bin at Longford RFC serves great quality and value food on Wednesday, Thursday, Friday from 12-3 and 12-7 on Saturday and Sunday. It is also the best place to watch all this year’s Six Nations matches if you are not lucky enough to have a ticket. Booking for events such as birthdays, christening, confirmations, communions, weddings and funerals are also available.For bookings and information phone Kris on 0872872357. Our state of the art floodlight Mel Diffley 4G pitch is available for rental. It contains shock absorption so that players can play contact sports/fall over without hurting themselves. It is also perfect for 5 a side soccer. If you would like to book it phone Damian on 0862757103.